It took me almost a year. Regarding my # 1, I was choosing between that to # 3, but what factored in is the emotional connection. # 1 just did it for me. Anyway, here are the results…..
You can click on the titles for their profiles. I don’t know how was I able to finish this year this time since my academic load is FULL. At least, I’m done with 2011 (but I have a way to go before I can do my TFO Awards for 2011). 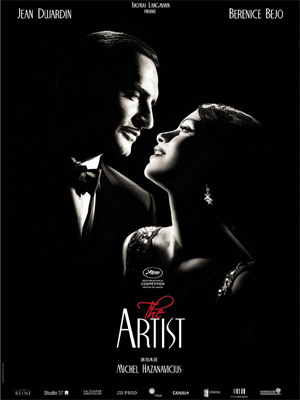 The Artist is about George Valentin, a famous silent actor in Hollywood during the late 1920s. His life crosses with the life of Peppy Miller, a young woman who finds her way in to the industry. Miller herself is a big fan of Valentin, and she has experienced working with him as well. However, things go out of hand when sound arrives in Hollywood. Valentin’s denial of the future of film with sound led to the disillusionment that he can still carry on without sound, leading to the fall of his career. Meanwhile, Miller finds herself slowly becoming Hollywood’s newest sweetheart. What makes the film such a delightful film to watch is the fact that it looks real, and it feels real. The vision is complete, and I am left with awe with how meticulously detailed the film is. It has a completeness of vision that makes the film plausible and authentic. What probably is important is that the film did not look like a joke since the concept and treatment can easily fall under an unnecessarily outlandish gimmick. Luckily, the film has a heart for the audience to connect with it and a soul that makes watching the film such an involving experience. Its intelligence crossovers as well to its screenplay that provides warmth, humor, and dimension to the story and its characters. The film is solid in its attempt to recreate a bygone era. Indeed, the film succeeds in an immersion to the world of Hollywood late-1920s, and I believe it is beyond the beautifully crafted cinematography that perfectly captures the milieu with care for detail and its intelligent play of monochrome, shadows, and light. It is due to the solidness of how the concept was delivered that makes the film full of impact. The control, the expertise, and the clarity is evident in every scene, creating a sense of truth that is really hard to shake off once you watch the film already. However, there is always a looming tendency for the story to simply follow the standards of actual melodramas of the silent era Hollywood. While the visual reference and appropriation of style works, it is more of how was the style essential that evokes ingenuity and nuance in every scene. There is no false note hit by the film; moreover, the said precision in the usage of film language that makes up for an excellent film experience. As said above, the technical aspects are just a part of why the film works, but each element is maximized to full effect. The cinematography is indeed memorable. Choosing to film in black and white is already a given, but there is brilliance visible on how darkness is pitted against strong light or how shadows and silhouettes provide strong visual register onscreen. The fire scene itself is a demonstration of how cinematography heightens the emotional and psychological tension happening to George Valentin. All these shots are harmoniously weaved together by the smart editing that allows each cut to serve as narrative beats that play crucial in such a film whose nature depends a lot on the sequencing and timing of shots. Pre-sound Hollywood could not have looked better, thanks to its production design and costume design. I think it must be noted that the visuals itself becomes crucial in the story as it is all about succumbing to the experience of George Valentin as a human being whose life is all about joyful ups and tragic downs. To work with it is the beautifully composed music whose melody becomes the perfect partner for the sumptuous visuals. George Valentin and Peppy Miller, the soul and heart of the film, are impeccably played by Jean Dujardin and Berenice Bejo, respectively, giving riveting performances. Bejo’s Peppy Miller is a combination of uncompromising, steely, yet tender, lovable, and sincere. Bejo plays all of these with visible understanding of the role that makes her performance believable as a sturdy anchor to Dujardin’s George Valentin. Dujardin, on the other hand, delivers an all-time great performance as the falling silent movie star George Valentin. Simply put, he owned the role with conviction and soulfulness that it hurts everytime we see him getting emotionally bruised, helpless, or brought to his lowest. His George Valentin is a blend of the approachable warmth as an actor, the underlining pride as a star, the fall to shame and despair as a human being, and the electrifying emotional journey that he must go through the film. Dujardin’s George Valentin might be the strongest male performance of 2011. 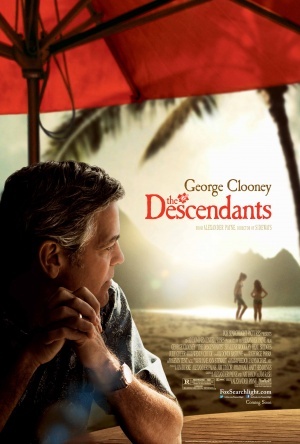 The Descendants is about Matt King, a lawyer from Honolulu that goes home to his family after his wife went into a coma. He decides to reconnect with his distant older daughter as well as to his other daughter. In the process, it is revealed to him that his wife was having an extramarital affair while Matt was away. Particularly, Matt’s wife was with his man when she was in the boating accident that caused her comatose situation. This revealed to be the reason why his older daughter becomes rebellious and angry to her mother. In the process, Matt deals with the different people that he must meet as the condition of his wife worsens. This is my first Alexander Payne film, so I did not know what to expect. His filmography is mostly composed of films that tackle small slices of life, often times dealing with simple people living simple lives until they decide to shake things up, intentionally or not. And as I saw it, I believed that the story is under control someone who knows how to do these kinds of stories. I felt the sincerity in the treatment of the material, featuring no level of artifice and pretense. However, while I think that the execution of the material feels true, it does make for an almost lifeless experience which is not really a good thing since the film is supposed to be a slice of life. While the film has its good, sometimes touching moments, it is to be credited more on the well-written screenplay delivered by strong performances. There were parts when I did not care anymore on what is happening. The film felt dragging and pointless at times, a feeling that I should not have felt with the film in the first place because the concept itself is interesting. I admit that I tend to lean towards film spectacles than simple stories, but I definitely appreciate them as well. As a matter of fact, I loved both Sideways and Nebraska. However, this film just did not do it for me which is quite puzzling since Payne has made films that are also simple yet soulful. Technical-wise, this is a sound film, containing adept and unobtrusive cinematography that captures both the beauty and simplicity of Hawaii as well as apt editing. The music is appropriate, giving the film the aural dimension of the setting. However, none of these technical aspects of the film can remove the feeling of dryness contained in the film. Because the film focused more on the small events that compose human life, the greatest thing one can hope for is for the audience to connect to the story. Unfortunately, the film at times was a chore to watch because it was not able to channel enough emotional weight for me to care about the film that much. One thing that puts the movie together and I think is its greatest asset is George Clooney in a performance that asks him to be as human and as grounded as possible. The role of Matt King demands Clooney to go through a lot of inner turmoil as his conflicts are often kept to himself either due to his anger is directed towards someone who cannot respond or someone who is literally far from him. The role also demands him to become an everyday man that must be conflicted and at the same time, controlled. It really is a ray of hope every time Clooney unleashes his skill in acting dramatic, comedic, as well as a careful mix of the two in crucial scenes. Clooney delivers one of his great performances, along with his works in Michael Clayton and Up in the Air. The supporting actors, particularly the women, also fare well, with Judy Greer as the wife of the paramour of Matt’s wife, delivering a subtle and sincere performance, as well as Shailene Woodley as the tough yet conflicted daughter of Matt, chiseling her rebellion with disappointment and frustrations. In the end, however, it is all about George Clooney bringing truth and honesty to his role that gives the life of the film. I have no problems with films that rely a lot on the strength of the performances of its actors. However, it is a sad thing to see the actors really doing strong work, particularly Clooney, while the film is almost a soulless wreck. It is entertaining and funny at times, and the last twenty minutes are undeniably touching. However, this can be all credited to the cast who is doing fine acting. It is also a letdown that Payne can actually deliver stories like this and make them into great films. It is a good film, but the frontrunner status it had during the 2011 awards season still puzzles me. 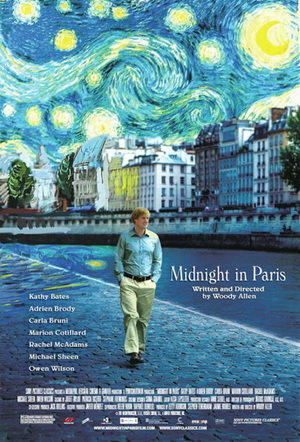 Midnight in Paris is about unsatisfied Hollywood screenwriter Gil Pender who spends a vacation in Paris with his fiancee and her parents. While he is trying to write a novel about a man who works in a nostalgia shop, he also plans to move in to Paris, to the disagreement of his fiancee. One night, as he is walking around the streets of Paris drunk, a car arrives, transporting him to the 1920s where he got to meet art and literary personalities like Scott and Zelda Fitzgerald, Cole Porter, Ernest Hemingway, Gertrude Stein, Pablo Picasso, and especially, Adriana, Picasso’s mistress, among others. Through the several ‘visits’ that Gil makes to the past, he is able to get more inspiration in his writing. His nostalgia also intensifies as he also gets attached to the past that he sees as the golden age. Woody Allen’s fantasy comedy about one man’s search for the promise of a better past is an exercise on unabashed enchantment. He directs it with grace, executing each scene with an assuring confidence and underlying excitement as Gil Pender’s travel to the past becomes a character journey for the audience as well. Its intelligence lies in the concise build-up of carefully crafted humor, providing not simply a hilarious film, but also built on a charming and captivating atmosphere. It also helps that the script, penned by Allen himself, provides an undeniable mixture of charm and wit that makes the film really a delight to watch. He glides into each scene with a smooth transition from charming to funny to romantic with the simplicity and honesty of the lines. The way the character of Gil Pender finds his way into the past while joining enchantment and awkwardness makes up for a really fascinating study of a character who sees his displacement as a way to escape from the undesirable truths of the present. The cinematography provides a glorious look at the past, showing picturesque and utterly gorgeous shots that evoke the glory of the past, whether be it the real past or simply nostalgia. Meticulous production design and costume design fill the scenes with beauty and fascination. Graciously edited with perfect rhythm, the film feels like a breeze that is both relaxing and thrilling to watch. The film also possesses brilliantly selected music pieces that anchor the over-all romantic feel of the film. However, it is the cast that definitely brings life to the story. Owen Wilson anchors the story with charismatic with and believable amazement. Surrounding him is a strong cast of actors that populate this magical story. Marion Cotillard is vividly mysterious and alluring as Gil Pender’s muse. Corey Stoll is particularly remarkable as the straightforward Ernest Hemingway. Other noteworthy actors include Adrien Brody as the rhinoceros-stunned painter, Kathy Bates as the assertive Gertrude Stein, Rachel McAdams as the rational yet irritable Inez, Michael Sheen as the arrogant intellectual Paul, Tom Hiddleston as the suave writer Scott Fitzgerald, Allison Pill as the happy-go-lucky Zelda Fitzgerald, among other. I ask myself after watching the film: yes, I have enjoyed every minute of it, no doubt. It was a delight to my senses, I was mesmerized by the visuals, the intelligent humor worked for me, I appreciated its smooth narrative flow. But what was the big deal after all? For me, it was how absorbing the experience was. Time just flew by, and watching it was something that feels like a precious time. The charming start of the film immediately got my fascination, and the ending just left me with a smile. 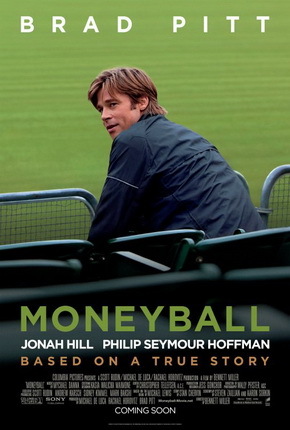 Moneyball is about Billy Beane, the team manager of Oakland Athletics. With a team that just lost during the last game, star players that are on their way to departure, and a budget that is even lesser than meager, he decides to meet Peter Brand, an economics graduate whose expertise is analyzing data on the computer. With Brand, Beane decides to build the team with players that are mostly no-names by studying and using the data supplied by Brand to bring back the team to its game. Baseball is not one of those sports that usually interest me. However, you do not need to become a baseball enthusiast to understand or even enjoy the film. There is skilful craftsmanship present in the film – the film does not immediately divulge to noise or unnecessary aberration in the story. Every moment of the film is controlled with a steady hand, and the subtle unravelling of events does the best favour in the film. The film is definitely not hurrying, but the film is built on an expertly constructed narrative that creates the subtle urgency in the storytelling. Bennett Miller, the director of my choice for Best Picture 2005, Capote, has again proved his amazing skill of control and restraint. He uncannily provides a lively treatment to a material that could have easily been uninteresting, me being not so well informed with baseball. With a clever and tightly fabricated screenplay that offers an insightful at the world of baseball and the people involved, the choice to dwell more on the characters rather than the game itself is ingenious, bringing in the specificity and unambiguity that causes the excitement in the human drama packed in the story. The way Miller balances the exhilarating game that takes place behind the actual baseball matches and the personal drama of the characters, especially Beane, provides for a gripping story without instantaneously showing off. Here is a director that has proven his expertise on the craft by a careful handling of pace and rhythm. The film also has an assuring cinematography that paints the frame with seamless and uncompromising imagery. Enhancing the visual experience is the potent editing. With the restraint comes a series of images that breathes life to the story with flawless movement. It captures every scene with an underlying sense of firmness. There is also the astute use of music, delivering a precise feeling of tension and smoothness. Familiar faces like Philip Seymour Hoffman, Robin Wright, and Chris Pratt populate story, but it all boils down to the two central performances of the film – Brad Pitt and Jonah Hill. Jonah Hill surprises with a performance that oozes with clean-cut intelligence and quiet determination. The role does not necessarily demand Hill to carry a heavy emotional baggage. Rather, it requires him to imbue a reserved facade of confidence. Hill succeeds in playing with the tricks of the character, and more often in the film, he displays a surprising diligence that works well in his character’s tacit inwardness. Here is a supportive performance that can be overlooked at first glance, but rewatching reveals the crafty conviction Hill delivers to the role. As Billy Beane, Brad Pitt reminds us that he is a formidable actor, wearing the slyness of the character with full confidence and smoothness. His character, like Hill’s Peter Brand, requires a complex and layered attack on a character that does not actually externalize his personal drama, but rather uses it as an underlining motivation. Pitt succeeds in breathing in life to a character that appears first as a know-it-all man, but later reveals himself as a man of vulnerability and implied tenderness. Pitt’s performance leans on a very natural approach – it does not shout for attention; rather, it is in the slick nature of the character as well as the nuanced humor embedded in the lines he deliver that the performance rely on. And with this approach, Pitt has reached the crux of why the film works so well – it is his lively take on Beane that compliments with the film’s multifaceted yet tranquil atmosphere. The film is mesmerizing. It does not break any new ground, but its bone-deep look at the world of baseball and the people involved in it makes for a fascinating watch. This is a smart film, and you do not need to be a baseball enthusiast for you to like it. The expertise in filmmaking evident is enough to seal the deal. The film is vibrant, alive, and energetic. I just wish I can love it more. 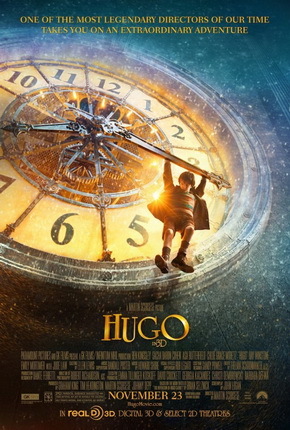 Hugo is about the titular character, a young orphan living inside a train station. He is maintaining the clock in the station that his father used to manage while also taking care of an automaton that his father left him. Caught in the act of stealing by an old man running a toy store in the station, his notebook containing very personal details, mostly relating to his father, was confiscated by the old man. He befriends the old man’s goddaughter Isabelle and asks that his notebook be returned to him. As it turns out, the old man is Georges Melies, the French film pioneer whose career tragically ended when World War I came. It is now left to Hugo for him to discover between the automaton and the filmmaker Melies. A fantasy drama with a central character of a young boy is not your usual Scorsese fare. He is mostly recognized for tackling gritty stories – either the machinations of an Italian gang in Goodfellas, the victory and defeat of a boxer in Raging Bull, the bloody revenge of a man for his father in Gangs of New York, or the deception taking place in Boston crime scene in The Departed – that’s why I initially doubted this film when I first knew about it. But as the film started, I am already left in awe. Scorsese immediately immerses the senses with a strong recognition of stark shadings. There is something surreal and dark beneath the celebratory images of a Parisian train station, underlined by the beautifully vibrant music score that is appropriately enchanting and French. The film then breathtakingly zooms in to the lead character that then engages in a dazzling run that leads to another character, Melies. In a way, the way the film hinges on magical visual makes sense, as it provides contrast in the somberness of the film. The breathtaking opening sequence is quite representative of Scorsese’s take on the film. He fills the film with images that brings a tangible milieu of fantasy but at the same time also envelopes the film in a noticeable inclination on mystery. The film does feel like a fantasy neo-noir. Aided by superb cinematography and astonishing visual effects, the film plays with the brightness of the strong colors with the shadows that exemplify the dexterity that Scorsese has in handling the material. With his background in telling dark stories, he is able to place the right amount of obscurity to create a wonderful dance between the undeniable joy of childhood, the celebratory spirit of cinema, and the creeping sadness underneath these two. Having an able screenplay that supply the film with a cleverly crafted narrative, the film delivers an effective ode to both childhood and cinema. The skillful rendition of the technical aspects of the film is just a mere part of it. The film is an emotional experience. There is wonder in the film that surprisingly lets the emotional core of the narrative to shine. The visuals do not overwhelm the story. Instead, the stunning imagery of the film strengthens the story. There is also the presence of a strong cast of actors: from its lead Asa Butterfield’s honest perseverance to Chloe Grace-Moretz’ strong suggestion of awe, there is a present intelligence in the execution. Also, there are Ben Kingsley, Helen McCroy, and Michael Stuhlbarg that populate the film with characters that are not just mere additions, but all serve the purpose of providing support of the film’s core. Scorsese’s visible mastery of the craft is visible throughout the film the same way the sound and production design are evident with the great detail and specificity in them. The film is obviously a work of someone who has years of experience, and that very experience shows in the execution of the film. The result is a film that gloriously visualizes the heart of the intertwining of the magnificence of cinema and the jubilant truth of childhood. This is a film of undeniable wonder. The Tree of Life is about a middle aged man’s contemplation of life from his childhood days with his family composed of an authoritative father, compassionate mother, and playful brothers. His reminiscing of the past is interspersed with images that depict the creation of the universe and the first signs of life on earth. With that being said, it is to no wonder that the film’s chance of getting nominated for best picture was very shaky. Its experimental elements sharply divided the critics and audiences alike, though it won the prestigious Palm D’ Or at the Cannes Film Festival. And looking at the film, it is no surprise that it garnered such divided reception. The material itself is quite tricky – a film about a man meditating about life is already in danger of a bloated and self-indulgent pratfall in a film. It may have seemed pretentious to some, and it did come to others as such, but it was handled with such care and knowledge and understanding that what became as a result is a soulful and deep cinematic experience that is both spiritual and enigmatic at the same time. It is through the director’s solid and sincere intentions of reflecting about the whole grandeur and immensity of life that the film feels not only like an exploration of life’s beginnings and epic possibilities, but also a personal meditation on the meaning of it. It is also due to this very personal relationship with the material that I feel that the director was able to fully maximize the potential of the story because he knows the entirety of the story – he pushes the limit of what can be told, and the crossover from the contemplative attitude of the writing to the moving examination of life is just an amazement to watch. The visuals are stunning, and it is to no use. The fluid cinematography embodies the spontaneity of the film, something that makes the film very visually organic. The way natural lighting illuminates each scene, the way the smooth movement of the camera strengthen the graceful focus of each scene to the very core of the story. The editing sets the film to a refined rhythm that perfectly captures the essence of each scene. Each cut is concise and no shot is too long or too short – there is evident knowledge of what must be shown, and in a film like this where many things can be shown, specificity in the vision is needed to channel the point of the film, and the editing fulfills that. Kudos to the good production design and visual effects for adding layers to the environment that makes the film a powerful observation of life. The aural elements of the film are also noteworthy. While the sound work itself is very impressive, it is the strong choice of musical pieces that tie up the film’s themes. It sets the film to an enigmatic aura, something that makes the film both spiritual and mysterious. The level of spiritual pacification strung in the choice of music is essential in structuring the film’s dimensions and layers that becomes the film’s strength. The film becomes accessible and nowhere near alienating because the control of the flow of emotions is sustained, therefore giving clarity amidst the ambiguity of the imagery. Brad Pitt has been recognized this year for his performance in Moneyball, but it must also be noted that his performance here is quite strong. Working on a character that may have simply been reduced to symbolism, the level of conciseness he invests in the character of Mr. O’ Brien defines his character with both patriarchal authority and paternal care. It is also the case of Jessica Chastain, who successfully disappears into her role as Mrs. O’ Brien. Her character moves around the story with grace, but she is not afraid to let loose of the emotional baggage beneath the almost-angelic image. In the lack of words, she supplies her character with a warm resonance. The film is a thing of beauty. The effect the film leaves is something unspeakable. It throws away any moment of hesitation and its conviction to tell this daring and nuanced examination of life, on how colossal it is and on how small moments define one’s very existence. The film goes down to the spirit and meaning of life, and the film does not dictate it; the film lets one to witness and experience the contemplation and let one think about it. What a brilliant film.